While his teammates assume the starting job will be handed to Jake on a silver platter, the truth is that he has to fight for every snap and every ounce of respect. Jake may be a Cullen and he may play quarterback, but he is not his brother or his father. Being a good teammate comes naturally to Jake; being a winner and a celebrity does not. He's just like every other boy - awkward around a pretty girl, in awe of his famous family, and desperate to simultaneously blend in and cast his own shadow. Great story about a young boy trying to follow his family tradition and make it big time. In more ways than you would think. It was a great book. Loved the personality. LOVED IT GREAT BOOK GOOD READER GREAT PERFORMANCE GREAT WRITER GREAT BEGGING GREAT ENDING AWSOME !!!!!!! Guys will enjoy this book! Probably not, but only because I'm not a huge sports fan. 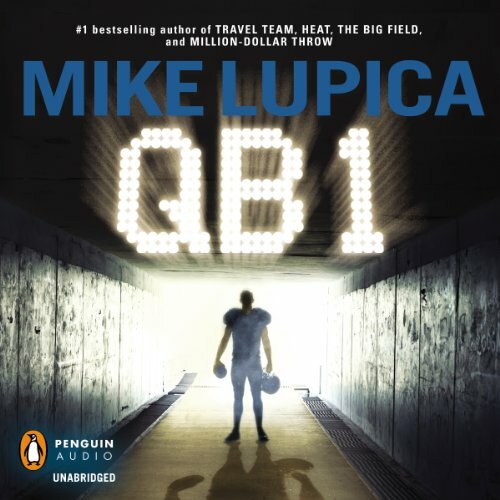 I have read several of Mike Lupica's other books and am always impressed by the balance between sports and the story. This book however was all sports and not enough story. I could easily have done without all the play-by-plays of every game. I felt like I was listening to high school's Friday Night Fever rather than an audiobook. Was QB 1 worth the listening time?